We are excited to announce the arrival of our new store! After much demand, all of our world famous Marimba Remix ringtones are now available in MP3 & M4R formats for Android and iPhone in all countries! iPhone users can still get our ringtones from iTunes, however as we have no control over iTunes pricing, we can offer sales and even free ringtones! 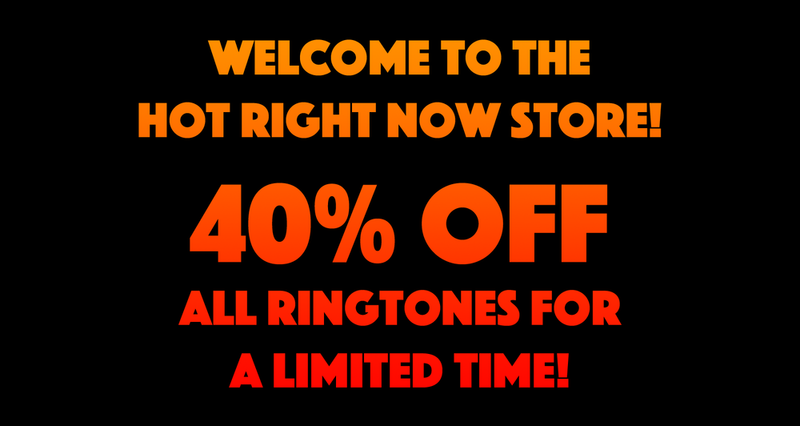 So to celebrate the launch of hotrightnow.store, you can enjoy a 40% discount on all ringtones for a limited time! What are you waiting for, go and check them out on the ringtone page!